and Sirius radio to any FM car radio will display text on radio screen if car stereo is RDS ready. For all latest generation iPod and iPhone devices with 5V charging and digital audio support. Works with any FM car radio. Digital audio circuit through USB with audio decoder chip static free audio. 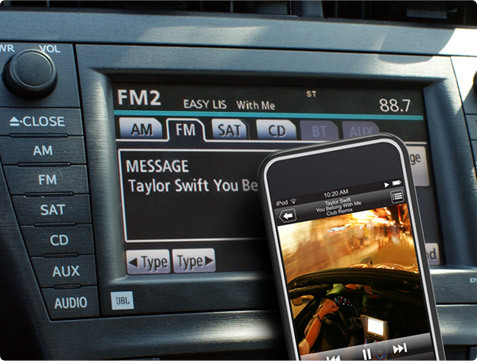 Browse songs using iPod iPhone and with the included wireless remote. Artist name song title album are display on your radio's screen if RDS ready. Works with all new iPods devices with 5v charging. 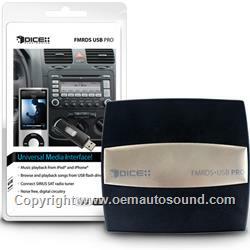 Playback of music from USB flash drive or mass storage device. Artist song name title shown on your car stereo display. Browse songs and folders the included wireless remote. 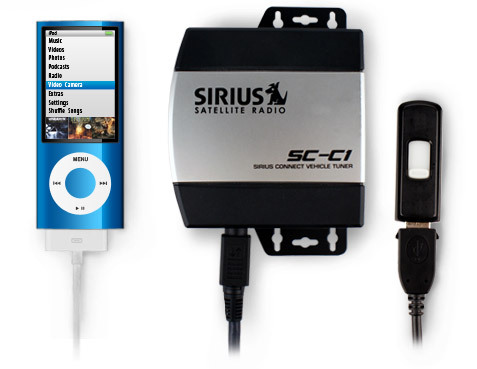 Allows you to add a Sirius tuner to the system. Sirius channel song name and station can be display on car stereo screen if RDS. Browse channels using the remote control. Save your favorite satellite channels to the remote presets. iPod iPhone remains unlocked allowing you to browse for all your music.13-button IR remote with shortcut buttons designed to allow easy navigation through folders, playlists, artists and albums. USB Flash Drive supports folder browsing up to 8 levels deep and up to 200 folders in each level. 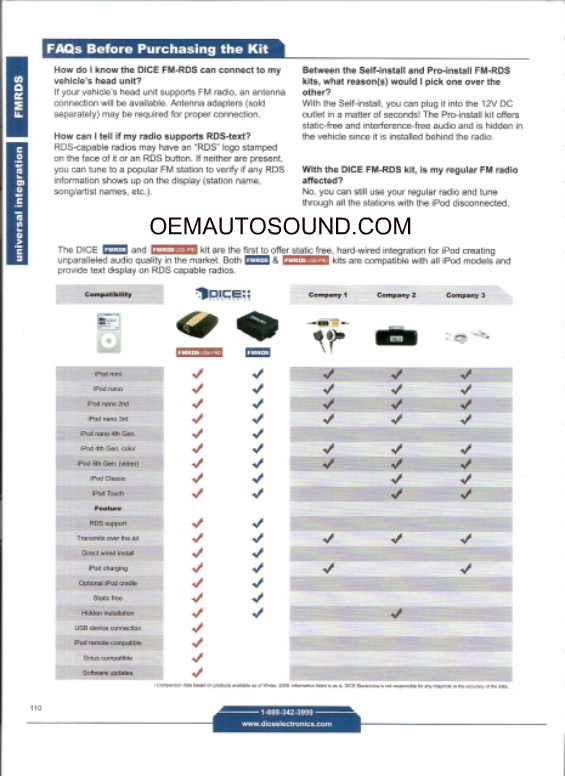 This is NOT a universal FM transmitter, please don't confuse this audio input kit with those inferior units. and insures that your music retains it's quality. 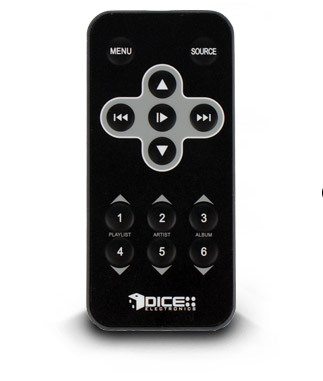 The included remote has all the buttons to control any connected device. With shortcut buttons designed to easily navigate through playlists, artists and albums, you spend less time pressing buttons and more time on driving. UNI 200 USB can be easily updated by connecting it to your computer with a USB cable. Firmware upgrades will fix any known issues . Always install the latest firmware version available. 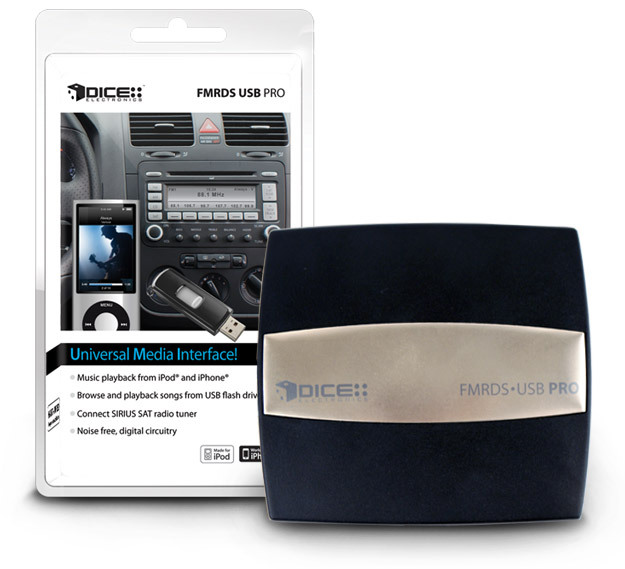 Firmware updates are Only available for the Dice Media Bridge, Duo, Universal RD's and Universal RD's USB.